"The great thing about the dead. They make space." Get Ghost Notes as an ebook for 99 Cents! I just published a piece at the Nervous Breakdown dealing with, among other things, my feelings about Amanda Hocking's success via ebook. (In short, yee haw!) Come join the fun. And speaking of Amanda Hocking, Ghost Notes, my award-winning second novel, is now available for 99 cents as an ebook! 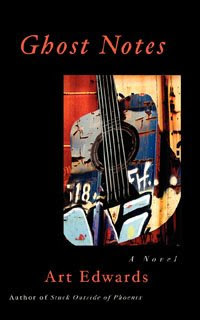 You can read it on your ebook reading device, or as a .pdf on your computer. 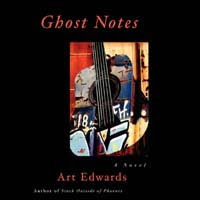 And for you Kindle-philes, I've reduced the Kindle version of Ghost Notes as low as it can go, which is $2.99, which makes it the same price as the Kindle version of Stuck Outside of Phoenix. If you've ever been the least bit curious about my work, now is the time to jump aboard. I can't promise these deals will last forever. Rock stars doing their rock star-y thing.